Hope my case hasn't explicitly been discussed before. I am a relative newcomer to scripting and have been taking my first steps with Ork. I have a question regarding the feasibility of something I am working to implement in an upcoming game. 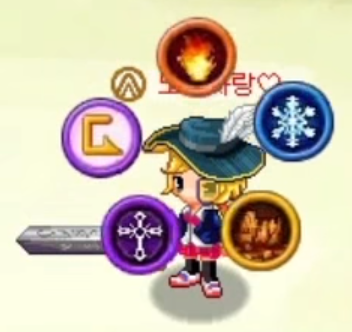 1) Can each stationary skill icon (after the initial 'spawning-in' animation) be turned into a gameobject that can be scripted to call specific attacks/abilities/items and trigger target selection? (Just as it is with the Battle Menu bar)? 2) Does the above need to be scripted at all? Or can the existing Battle Menu bar be considerably tweaked via regular (i.e., no script required) to afford the disparate skill icons and animations? 3) Can the Active Time Bar HUD be tweaked to fill a customized hollow sprite (a circle) with color? I apologize beforehand for these questions whose solutions may be painfully obvious to those with experience. If anyone could clarify whether the above is possible, I will be very grateful. GUI boxes can use the Circle choice mode to display the choices in such a circle, so that's already doable with the regular battle menu. Since you have control over what'll be displayed by the battle menu, you can e.g. set it up to only display the icons of the actions. If you want more control over this, I'd recommend setting up your custom UI in the Unity UI (aka new UI), where the buttons could e.g. fire a custom function or a game event (UI start type) that uses an Use Battle Action node to fire the action. As for #3, you could use an alpha mask to only show a circle, but it'll still fill it like a regular bar, i.e. not going around in a circle. Yep, filling it like a regular bar is what I intend to go for. One of the many reasons why I got to Ork was because of its versatility - and also chiefly due to you.